The Cirro Vaporizer is a cutting-edge portable vaporizer that can be used with either dried material or thick waxy concentrates, the choice is yours! 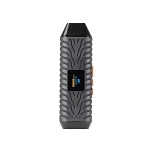 This advanced vaporizer by Everroll features a large aluminum heating chamber that utilizes a convection style heating method that will evenly heat your dried blends, creating an incredible vapor quality that is packed with flavor. Prefer waxy concentrates? No problem, Everoll includes a waxy cup insert that will convert the Cirro to a portable oil vaporizer in a matter of seconds. 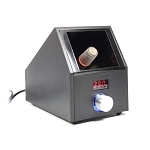 It is equipped with an innovative 360ï¾° free-rotating swivel lid design that offers fast access to the heating chamber. This makes it perfect for use on the go as you can refill and begin a new session in no time. 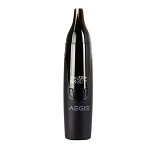 This lid also houses the hidden mouthpiece that folds into the lid to make it that much more compact when not in use, it is also removable for a streamlined cleaning process. Everroll's Cirro is manufactured with 4 preset temperature settings that have been optimized to deliver wonderful results with either material type you choose to use. These temperature settings include 374ï¾°F, 392ï¾°F, 410ï¾°F, and 428ï¾°F, each are shown by the LED setting indicators found on the front of the device. After you have found the ideal temperature setting for the material you are heating, the Cirro will reach that level in just about 30 seconds. Once your desired temperature is achieved it will let you know with it's innovative vibrating notifier that allows you to keep it in a pants or jacket pocket until it is ready for use, making it perfect for stealthy sessions on the go. This device is constructed from a premium quality 304 stainless steel material that is both sleek and durable. Take it with you on the move and don't worry about damage from your everyday wear and tear, this thing is tough as nails and will look like new for plenty of time to come. Finally, the Cirro Portable Vaporizer is equipped with a powerful embedded lithium-ion battery that features a massive 1600mAh capacity. 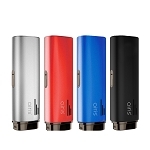 The large capacity allows it to heat for around 2-2.5 hours of continuous use on each charge, leaving with you the ultimate device for travel. When the time does eventually come to recharge plug it in to the included USB charging cable and enjoy the convenience of passthrough charging, never wait to vape again! It is important to allow the Cirro's battery to fully charge prior to your first use in order to condition it for an overall longer lifespan. Adding to it's great portability, the Cirro also features a bottom storage container for extra dried blends. Store a chambers worth of your favorite material inside this innovative container and stay ready for your next session without having to carry around a separate container everywhere you go. 10 points worth $10 will be earned when you buy this item.